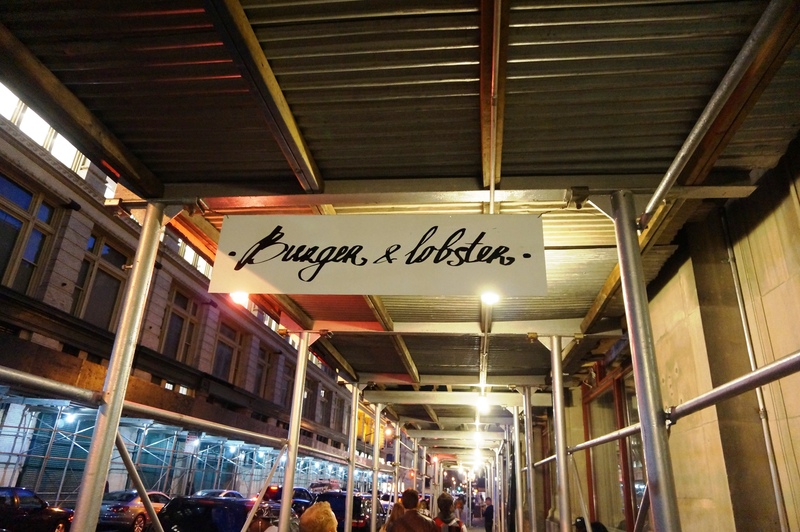 The concept of Burger and Lobster is a simple one, do you feel like a burger or a lobster. 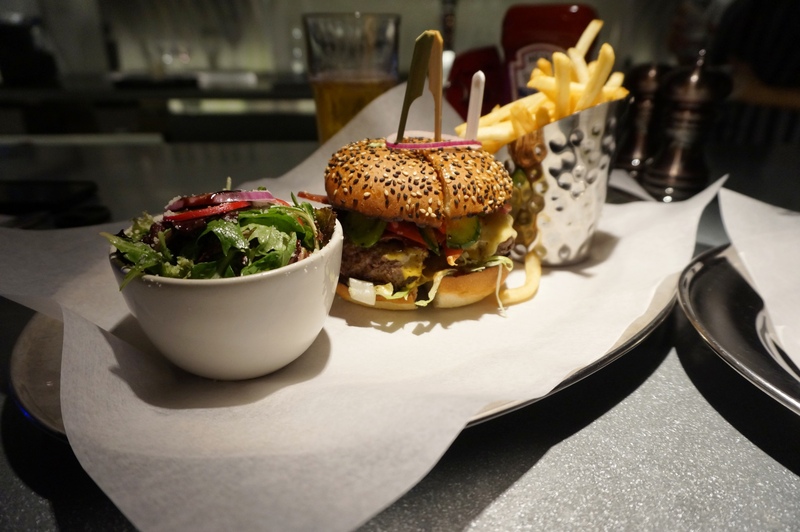 Starting in London, the idea took off with a 3 item menu, a burger, a lobster and a lobster roll served with fries and a salad for $20. Thus making your hardest choice at dinner “what do I feel like drinking”. Straight off I know the burger is the illogical choice, I mean simple cost analysis shows that a lobster is a bargain for $20 while the burger is there to recover the loss on it. My only problem with the lobster is the effort and time involved in breaking it down. I mean who has time for that. 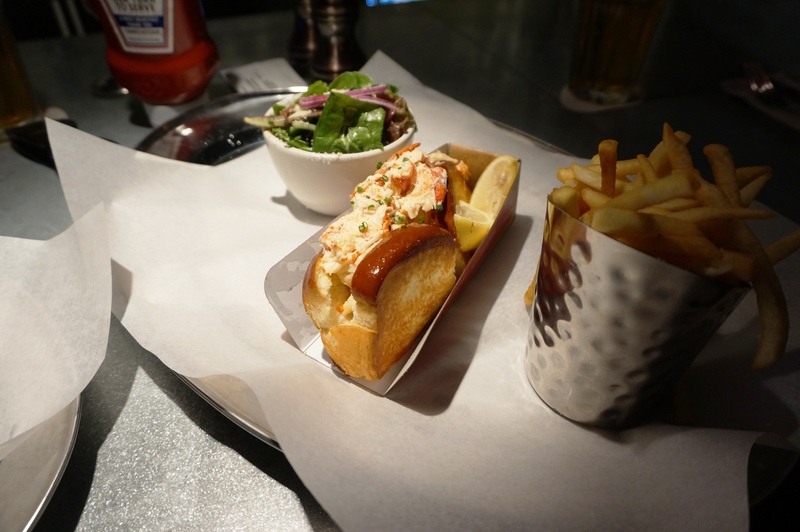 Back to the point of the story, we decided to split the burger and lobster roll. The lobster roll was really well done, fresh tasty lobster, light kewpie mayo, rich buttery toasted roll, and I topped it with just enough hot sauce that my taste buds sang. The burger was a big thing, the bun speckled with sesame seeds was a large turn off for me. I just dislike them on all sorts of bread. Surprisingly the burger overall was quite tasty and overall satisfying. While the patty was overcooked,the toppings were plentiful and the flavour was good that being said this burger was no J.G Melon, or Shake Shack for that matter but if you order it you’re not going to be left unsatisfied. The vibe is funky and relaxed. The food is simple and delicious while also being quick and affordable. I see why the concept is spreading. Posted on October 28, 2015 by AdrielPosted in New York, SteakLESS, United StatesTagged Burger, lobster roll, New York City.